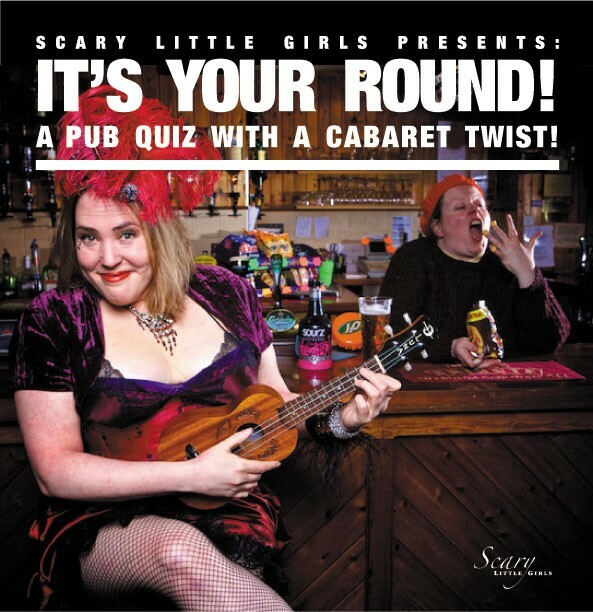 Scary Little Girls » Events » It’s Your Round! 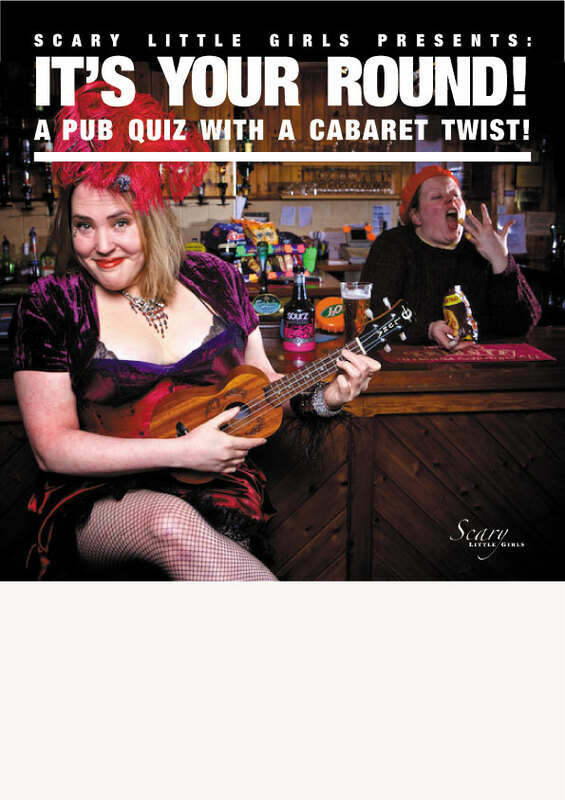 Join quiz mistress and pub landlady Pat Pinch and her lively bar girl Liberty Belle as they take over your local with live music, prizes, audience participation and, of course, a few drinks! How local are you? So down with your town you can almost taste it…? Whether you’re a liver-bashing barfly or a strict abstainer; a quiz mastermind or an absolute beginner – Pat and Libby are waiting to treat you to six of the best PUB QUIZ ROUNDS EVER! Everybody’s talking about Scary Little Girls – are they worth the hype? Yes! 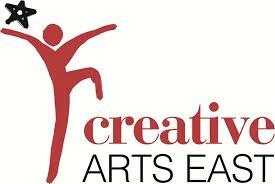 Performers Rebecca Mordan and Sharon Andrew are a good double act… and are very comfortable bouncing ideas off the crowd.